The Vivo V5 has a 5.5 inch display, Corning Gorilla 2.5D Glass, Cover lines with a metallic glow so you get that premium look so you enjoy showing off the phone to your friends when taking photos. It's also light and durable, this is why they're now changing their tagline from HiFi and Smart to Camera and Music. 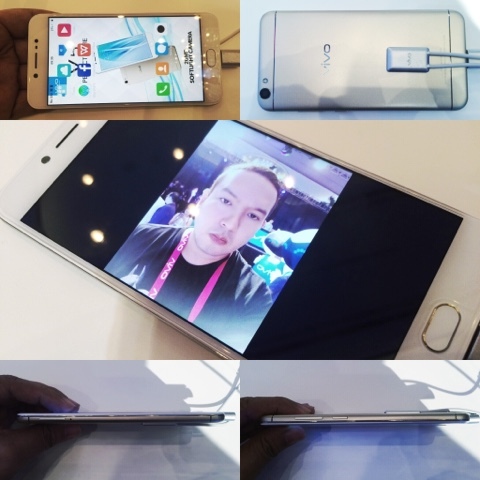 The V5 also has the world's first 20 Megapixel front camera co engineered with Sony. They also have embedded on phones the "selfie softlight" so you don't have to see those harsh flash deer in headlight shots, just enough to complement the ambiance even when taken in dark places. The hifi music innovation allows the phone to let you feel that the artists are just there, singing live for you. You get 115db in this chipset, plus a very responsive FunOS and Smart Split 2.0 that can let you watch video while doing other things on your phone. It's also comfy to read at night, 4GB RAM, larger storage at 32GB, 3,000 mAh, faster finger print locking, that's the VIVO V5! They also announced the Vivo V5 Plus, 5.5 inch display, ultra slim bezels, 74mm width, 5th generation Corning Gorilla Glass, a U shaped antenna so you get better signals, mirror grinding techniqe so you only get a smooth phone. The Fun Touch OS makes navigating very easy, uses dual front camera (8MP and 20MP) so you make that perfect selfie happen. It also has beautification, background blur and hifi music. Now those are just a few of great products from Vivo! 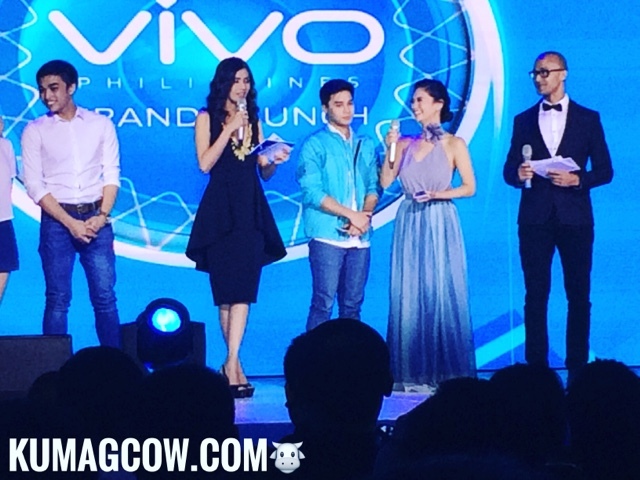 Congratulations on your launch Vivo! The Vivo V5 retails for only Php 12,995 and is available in partner stores, Vivo retail shops nationwide!